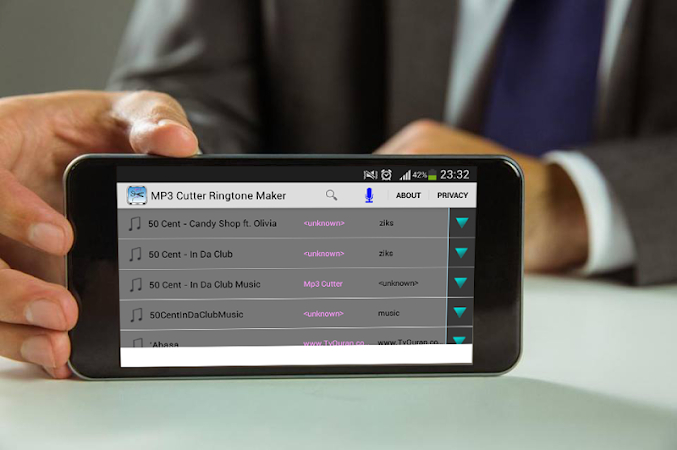 MP3 Cutter and Ringtone Maker is free app creates ringtones, alarms, and notifications from MP3, WAV, AAC/MP4, 3GPP/AMR files, myxer ringtones, You can set the start and ending notes by sliding arrows along the timeline. Do you like to make your own ringtones? If so you will love this application or make ringtones for somebody that you know. MP3 Cutter & Ringtone Maker has been scanned for viruses and it has been found totally safe. The tool has been originally created by Midox-SM and it is included in the Music & Audio category. The overall user rating of this application is 4.1. The most recent update of MP3 Cutter & Ringtone Maker was launched on Feb 14, 2017 and the app was downloaded by over 100K users. The tool contains adverts. Many users installed this application on their Samsung and Micromax devices. Get the .apk installation package of MP3 Cutter & Ringtone Maker 1.5 that is completely free of charge and have a look at users' reviews on Droid Informer. This application setup package requires 2 MB to be successfully installed. The app is available for Android 3.0 and higher. This is pro version of Ringtone Maker: No ads, full feature. Ringtone Maker is a ringtone production tool that provide amazing features. 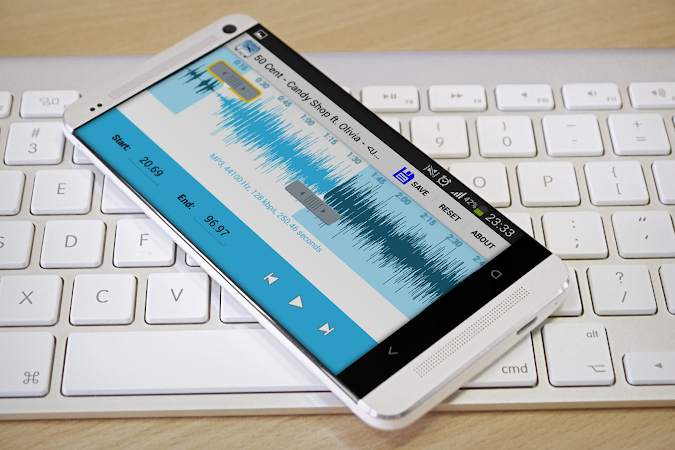 Free Ringtone Maker is the most popular ringtones editor for Android. Make your own ringtones quickly with Ringtone Maker. Make and create your own particular unlimited ringtones, alarm. Pick thisfree mp3 songs player: to play music, edit, Split. Get in your Android phone the best 60s 70s 80s 90s Music Player. It is the best app to recorder your phone calls. Yuppie Welcome in Photobucket Stickers Maker. It is a classic game with matches. MP3 Cutter and Ringtone Maker is free app creates ringtone free, alarms. It is an app that make a fusion between your face and an animal face like a mask. It is an addictive game, free with a lot of fun.